Place the bread, olive oil brushed sides down, onto the cutting board or work surface. 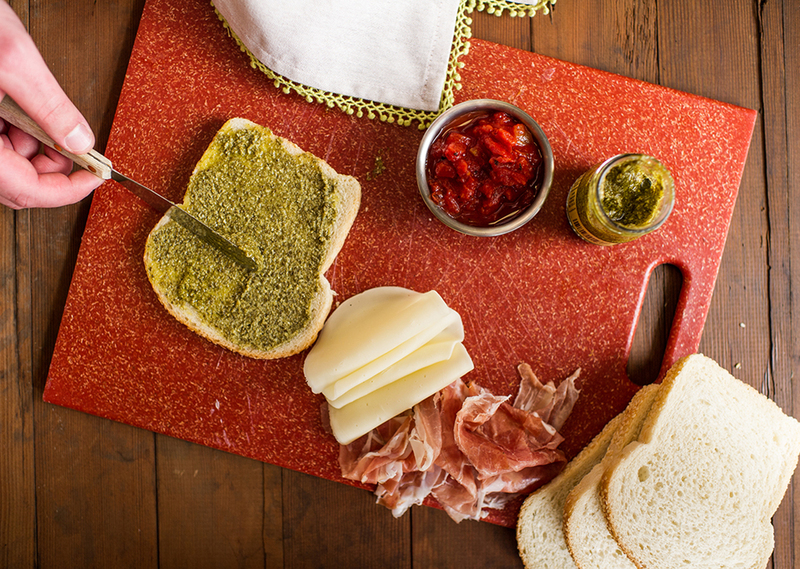 Spread pesto on the slices of bread. 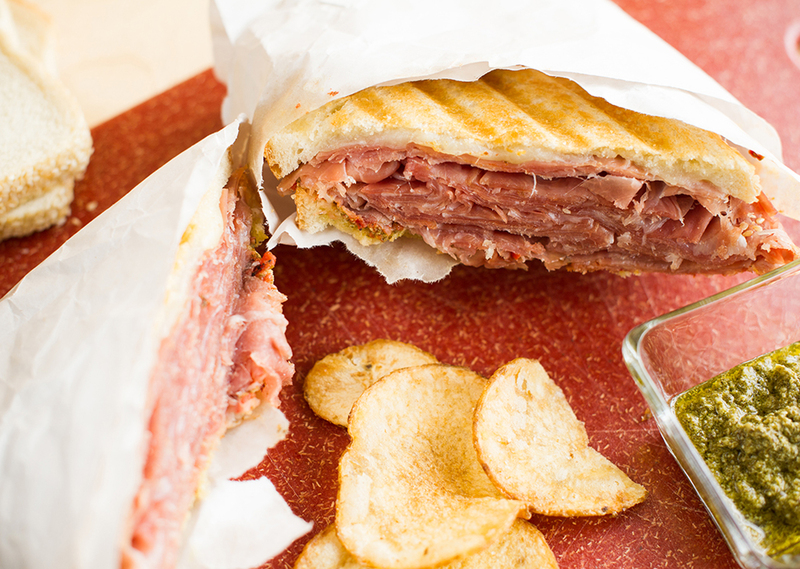 Top with prosciutto, tomatoes and provolone cheese. Cover with remaining 2 slices of bread; oiled side out. Cook on preheated grill for about 4 minutes or until the bread is golden and cheese is melted.